"Do not appropriate Mollie’s soul in advancing views she believed were profoundly racist," said Rob Tibbetts, the father of slain student Mollie Tibbetts. The father of Mollie Tibbetts, the Iowa woman allegedly killed by a Mexican man living in the United States illegally, implored people Saturday to stop using her murder to advance their political agenda, a day after President Donald Trump's son criticized some Democrats and what he called an "open-borders agenda." "At the outset, politicians and pundits used Mollie’s death to promote various political agendas. We appealed to them and they graciously stopped. For that, we are grateful," Tibbetts' father, Rob Tibbetts, wrote in an op-ed in the Des Moines Register published Saturday. "Sadly, others have ignored our request. They have instead chosen to callously distort and corrupt Mollie’s tragic death to advance a cause she vehemently opposed. I encourage the debate on immigration; there is great merit in its reasonable outcome," Rob Tibbetts wrote. 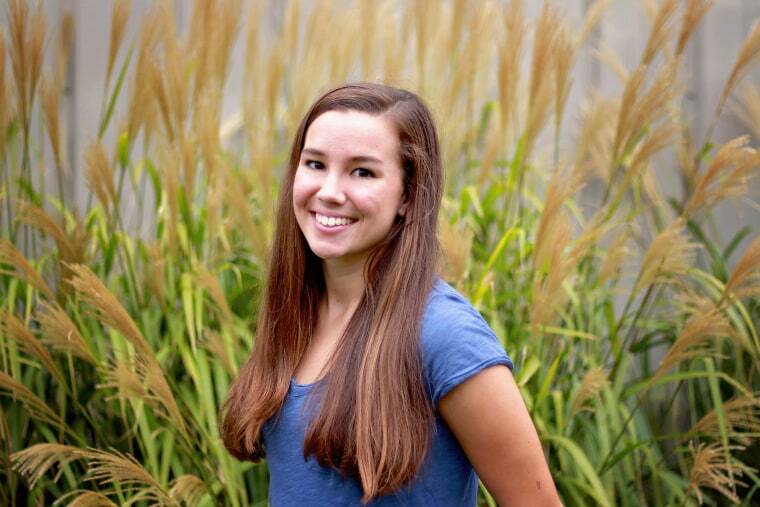 "But do not appropriate Mollie’s soul in advancing views she believed were profoundly racist. The act grievously extends the crime that stole Mollie from our family and is, to quote Donald Trump Jr., 'heartless' and 'despicable,'" Mollie’s father wrote. Trump Jr. used one of those words in an op-ed published Friday in the Des Moines Register. "The reaction from some Democrats and others on the left to the murder of Mollie Tibbetts is as despicable as it is revealing," he wrote. The headline used the word "heartless." Trump Jr., executive vice president of the Trump Organization, also tweeted in late August a similar sentiment. An email to representatives of the organization seeking comment from Trump Jr. was not immediately returned Saturday evening. Mollie Tibbetts, a 20-year-old University of Iowa student, went missing July 18 after going for a run in the town of Brooklyn, Iowa, and a massive search was undertaken to try and find her. Her body was found in a cornfield on Aug. 21. Cristhian Bahena Rivera, 24, whom authorities allege has been living in the country illegally, is charged with first-degree murder in her death. After the arrest, President Donald Trump at a rally in West Virginia pointed to her murder and called the nation's immigration laws "a disgrace." Several other Republican politicians also commented on illegal immigration at that time. Rob Tibbetts said in Saturday’s column that his daughter is not a pawn in the debates of others. "She may not be able to speak for herself, but I can and will. Please leave us out of your debate. Allow us to grieve in privacy and with dignity. At long last, show some decency. On behalf of my family and Mollie’s memory, I'm imploring you to stop," Rob Tibbetts wrote. He also referenced the funeral services for the late Republican senator and Vietnam War hero John McCain, whose life and politics have been contrasted by some with that of the current president, who has made illegal immigration a centerpiece of his campaign and presidency. "The person who is accused of taking Mollie’s life is no more a reflection of the Hispanic community as white supremacists are of all white people. To suggest otherwise is a lie," Rob Tibbetts wrote. "Justice in my America is blind. This person will receive a fair trial, as it should be. If convicted, he will face the consequences society has set. Beyond that, he deserves no more attention." "To the Hispanic community, my family stands with you and offers its heartfelt apology. That you’ve been beset by the circumstances of Mollie’s death is wrong. We treasure the contribution you bring to the American tapestry in all its color and melody," he wrote. "And yes, we love your food," he wrote, referencing a line that he reportedly delivered at his daughter’s funeral. Tibbetts' family has previously asked people to stop politicizing her death. "My stepdaughter, whom Mollie loved so dearly, is Latina. Her sons — Mollie’s cherished nephews and my grandchildren — are Latino. That means I am Hispanic. I am African. I am Asian. I am European. My blood runs from every corner of the Earth because I am American. As an American, I have one tenet: to respect every citizen of the world and actively engage in the ongoing pursuit to form a more perfect union," Rob Tibbetts wrote. "Given that, to knowingly foment discord among races is a disgrace to our flag," he continued. "It incites fear in innocent communities and lends legitimacy to the darkest, most hate-filled corners of the American soul. It is the opposite of leadership. It is the opposite of humanity. It is heartless. It is despicable. It is shameful."